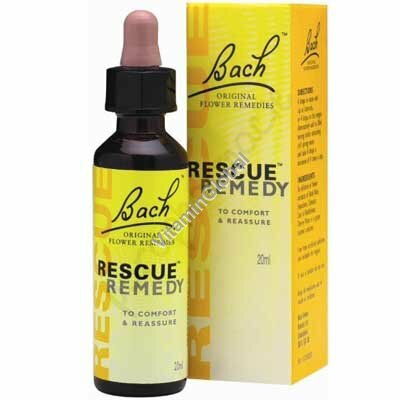 Rescue Remedy is an all-natural form of healing that can reduce everyday stress and help maintain control of your health. Effective in virtually any situation that causes stress or anxiety. Helps restore a sense of calm and control. Suggested Use: Take 4 drops in a small glass of water. Repeat as necessary. Can also be taken by placing 4 drops directly on or under the tongue.